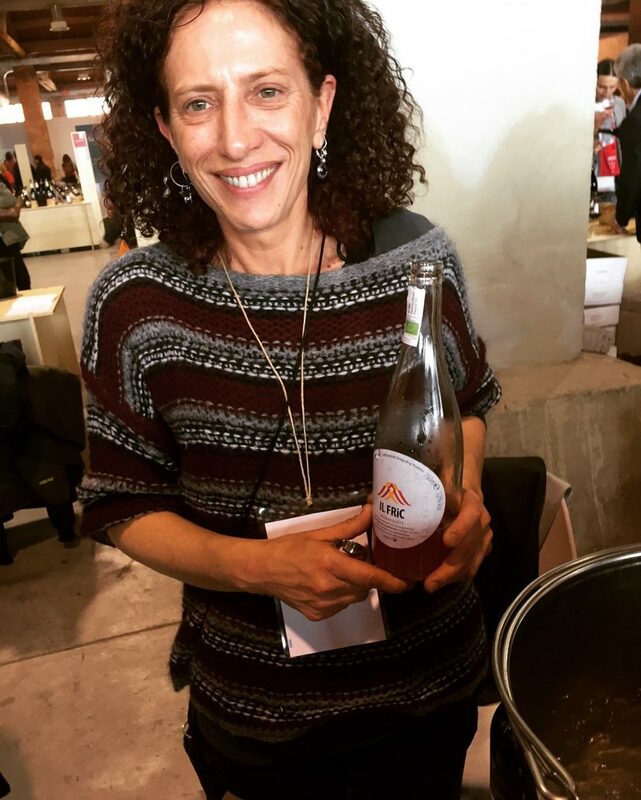 As Elisabetta Luorio’s father was aging in the late 1990’s, the future of their family’s farming activities at Az. Agr. Casebianche in Torchiara became uncertain until she and her husband Pasquale decided to leave their native Naples, seeking a better quality of life for their children and new challenges for themselves professionally. They exchanged city stress and careers in architecture and teaching for living and working among vines, olive trees, citrus groves, and fig trees—making the transition to agronomy and winemaking all the more fulfilling. 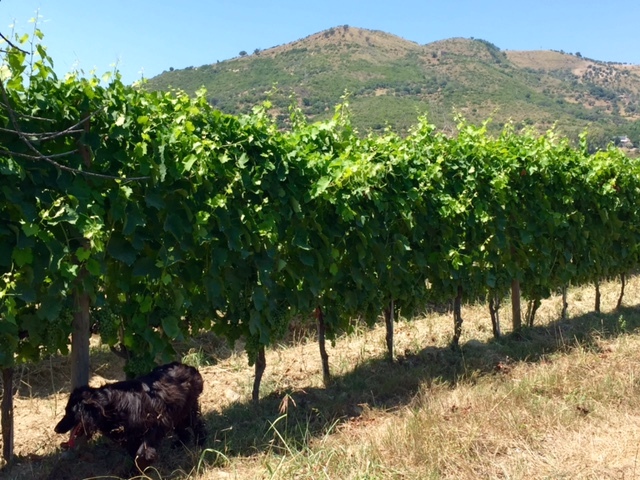 The fourteen-hectare property (of which 5.5 hectares are vined) is just inland from Agropoli and located an area that is geographically characterized the nearby Cilento coast to the west and Mt. Stella to the north. 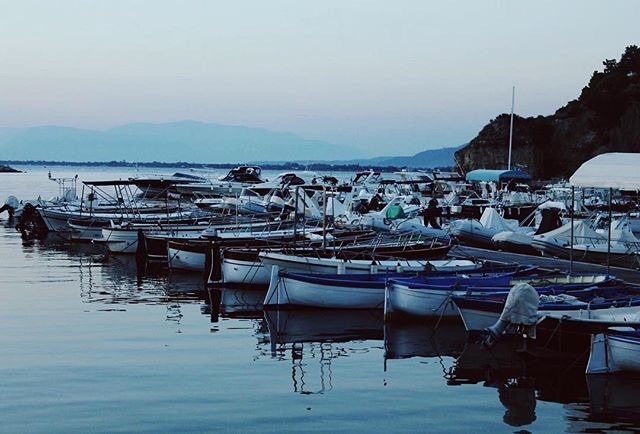 Historically, the zone is distinguished by being considered part of “Magna Grecia,” or, the coastal parts of southern Italy that were colonized by the Greeks in 800 BC. In fact, just ten minutes from Casebianche in the town of Paestum one can visit the Greek temples of Poseidon and Hera (600 BC) that are among Italy’s most important archeological sites. 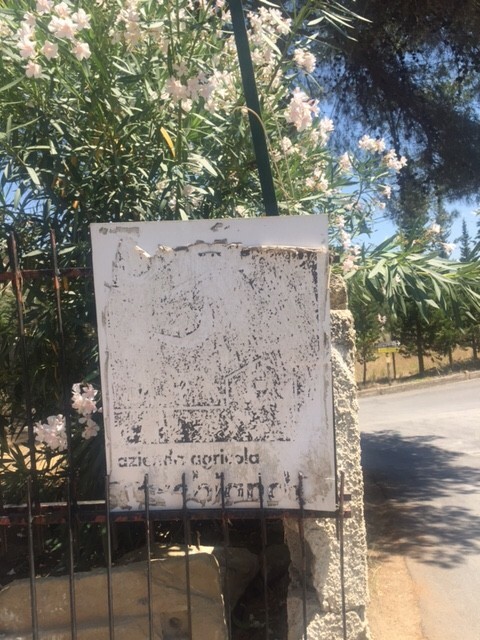 Here, the region’s profound relationship with the vine is no accident: prolific wine consumption and cultivation are documented in the paintings and artifacts that were recovered from the temples and vicinity. 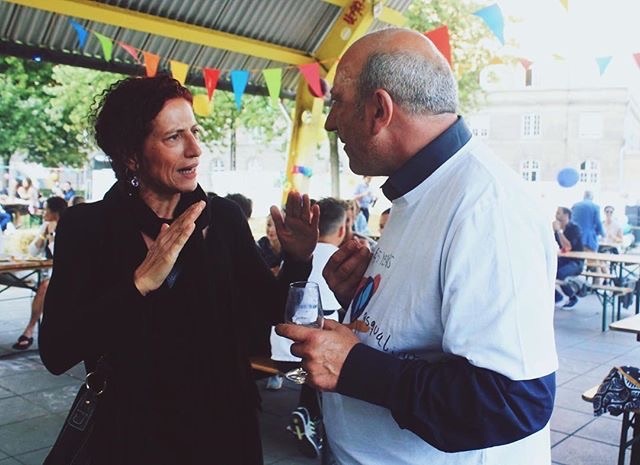 As for Elisabetta and Pasquale, their movement towards viticulture reflected not only of their interest in wine but also a sense that the family farm could play a more central role in their lives, making their work more rewarding and sustainable. And for people that are intellectually and emotionally equipped do anything (like this winegrowing couple), setting up and refining the operation—from organic/biodynamic cultivation to making and marketing their wines—was just a matter of time. 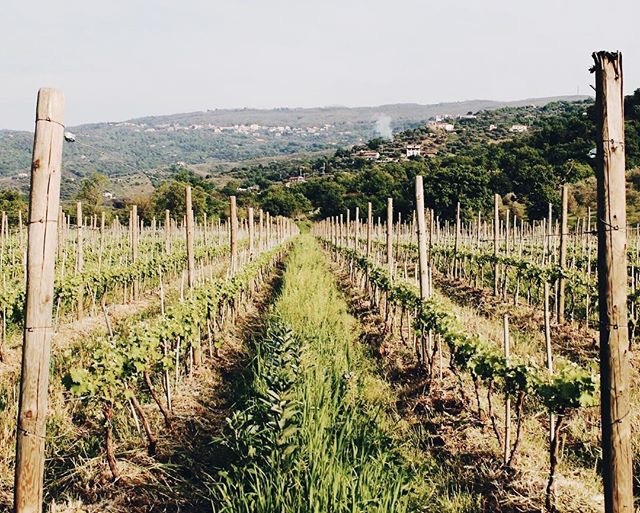 They chose to adopt organic farming practices as soon as they took over the property, even opting to incorporate some elements of biodynamics in the vineyards as well. For example, they spray the vines with dynamized compost and sow legumes between the rows of vines; both are methods to encourage the health and biodiversity in the soils. 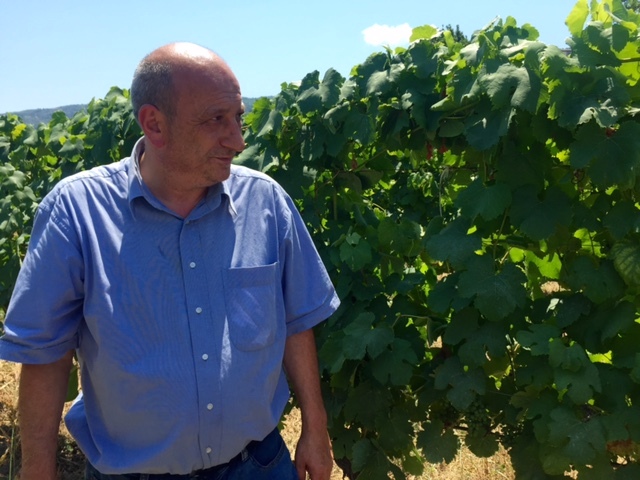 Given their south-exposed parcels and the deep differences in the varietals that they cultivate, Casebianche prefers to carry out harvest in phases beginning with Fiano in late August and concluding with Aglianico usually in early October. This way they ensure that their grapes achieve a full maturation yet maintain a good acidity, also producing wines with more restrained alcohol levels. 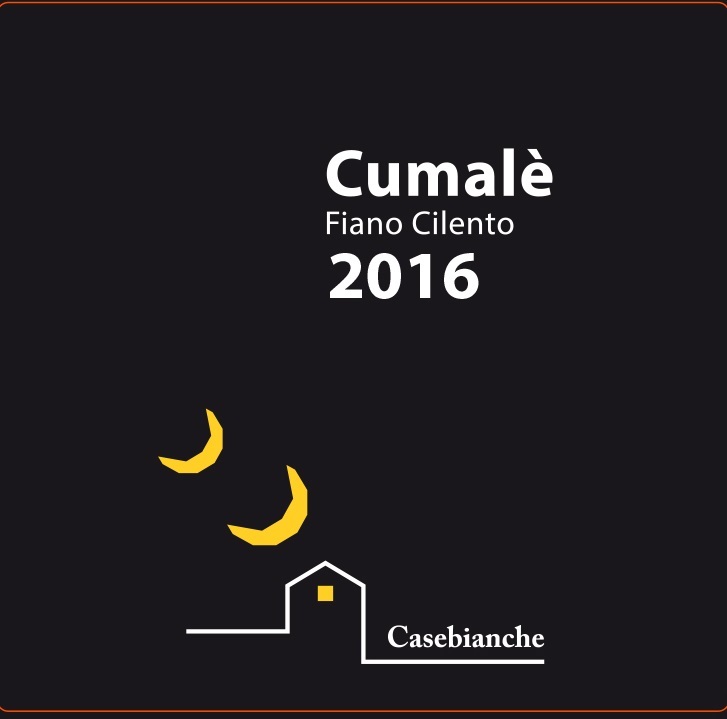 It is with similar attention to detail that Casebianche works with the grapes once they are manually harvested and brought to the cellar. All musts are gravity-fed into the fermentation vat rather than pumped in order to handle them in a most delicate manner. 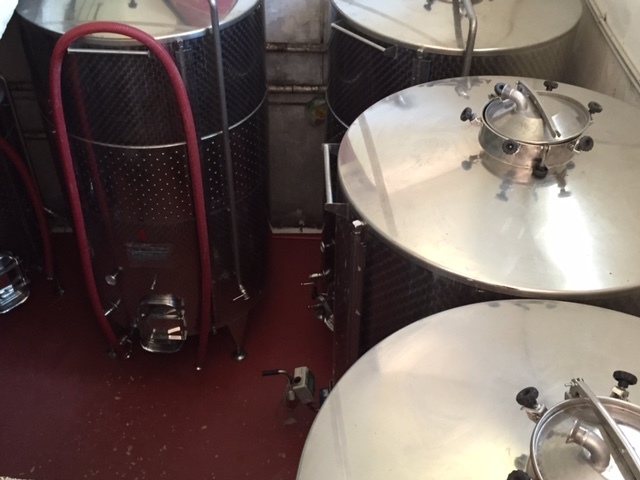 And as proponents of non-interventionist winemaking, technology in Betti and Pasquale’s cellar doesn’t go beyond stainless steel vats and temperature control. They joked that their cellar is more “garagiste” in style, mentioning their plans to construct a new cellar in the near future. 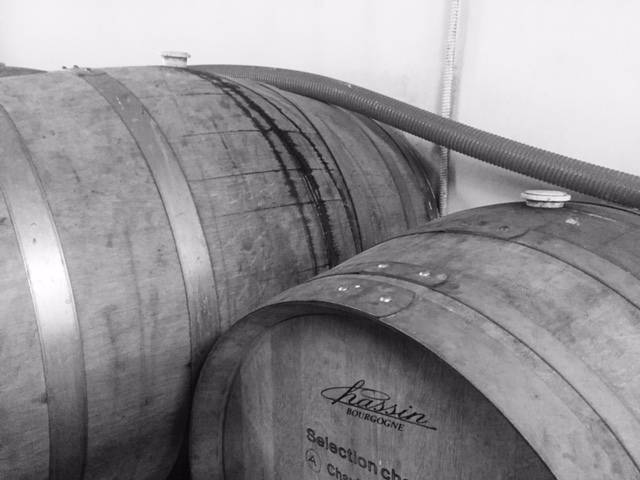 From what I could see, they exaggerate more than slightly about the shortcomings of their cellar; their fermentation rooms and oak aging room are spotless and well appointed. As they grow, they certainly will need more space but for the time being, this duo is focused on making wines that don’t interfere with the usually superlative results that they obtain in the vineyards. That is, they don’t add or subtract in the wine cellar to achieve of some of the region’s most elegant and honest wines. 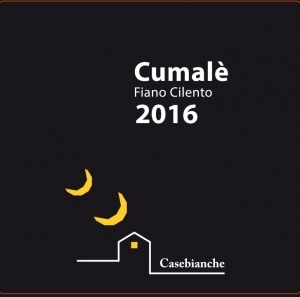 Fiano Cumalè DOP Cilento: 100% Fiano. The grapes that make this wine come from two vineyards that combine to almost two hectares, with vines that average 10-20 years. Elevated in stainless steel for a period of five months and then bottle for at least an additional two months before release, it shows characteristic herbal and citrus notes on both the nose and palate with cleansing acidity. 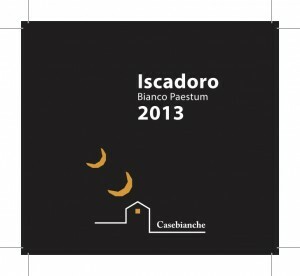 Iscadoro Bianco Paestum DOP: 40% Fiano, 40%Malvasia, 20% Trebbiano. 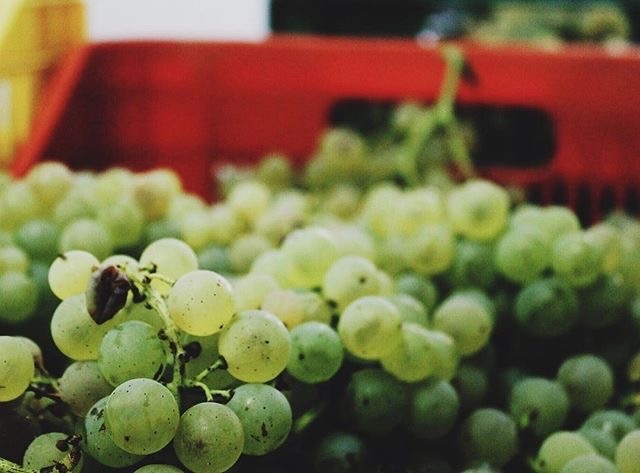 Hand-harvested grapes from vines that average 10-20 years (1/2 hectare parcel) are pressed and then macerated for six days before being separated from the skins. After staying eight months on the fine lees in 70% stainless steel and 30% oak, the wine rests at least an additional six months in bottle before release. Iscadoro shows brilliant acidity with a fine palate that is redolent of stone fruit, mediterranean herbs, and white blossoms. Dellemore DOP Rosso Cilento: 70% Aglianico, 20% Barbera, and 10% Pedirosso from two low-yielding vineyards that combine to 1.5 hectares with vines up to 60 years of age. Macerated for five days before being elevated in mostly stainless steel, a small part of this cuvée sees tonneau for a period of ten months. It shows great drinkability as well as vibrant cherry and blackberry fruit with floral/herbal undertones and refreshing acidity. Cupersito Cilento Aglianico: 100% Aglianico. This wine comes from a selection of Casebianche’s best fruit from each of the estate’s parcels before macerating 15 days in stainless steel vats. It spends one year in oak (half in tonneau and half in botti) before resting at least six months in bottle before release. Round and harmonious on the palate, this cuvée shows just how noble Aglianico really is with its vivid, cherry fruit and undertones of anise and mint. 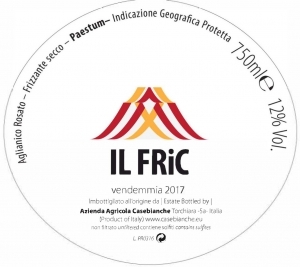 “Il Fric” Aglianico Rosato Paestum: 100% Aglianico. The grapes for this wine come from the Dellemore vineyard (1 HA) that is characterized by its clay/limestone soils. Il Fric takes its color from a brief, six hour maceration before being separated from the skins to undergo its alcoholic fermentation. Subsequently, the wine is bottled and re-fermented in the bottle by adding grape must to create its sparkling quality. 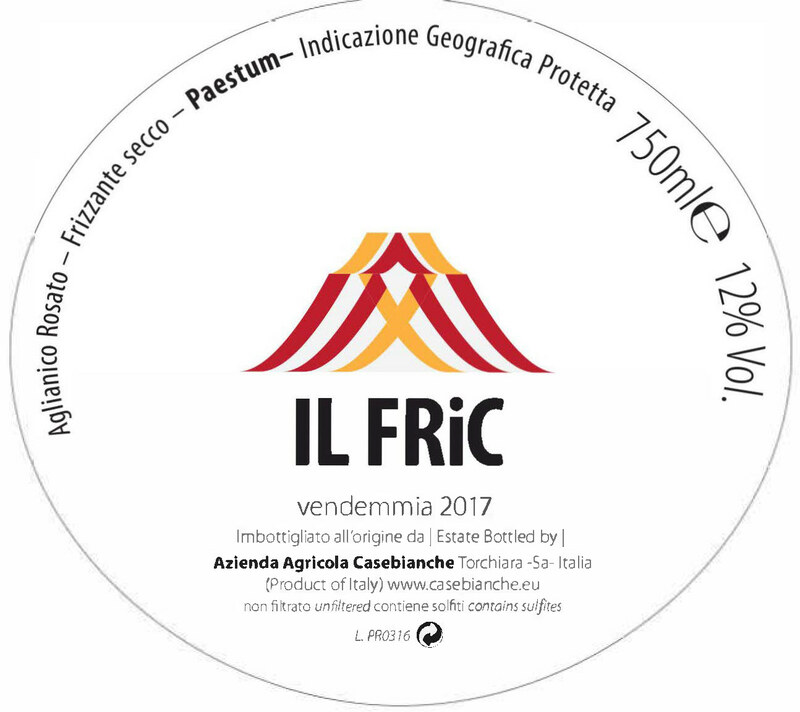 No sugars, yeasts, or sulfites are added and Il Fric is purposefully not disgorged; it is proposed as an integral sparkling wine. Elisabetta and Pasquale recommend inverting the bottle before opening in order to reintegrate the lees. Remarkably clean, dry, fruity, and delicious. 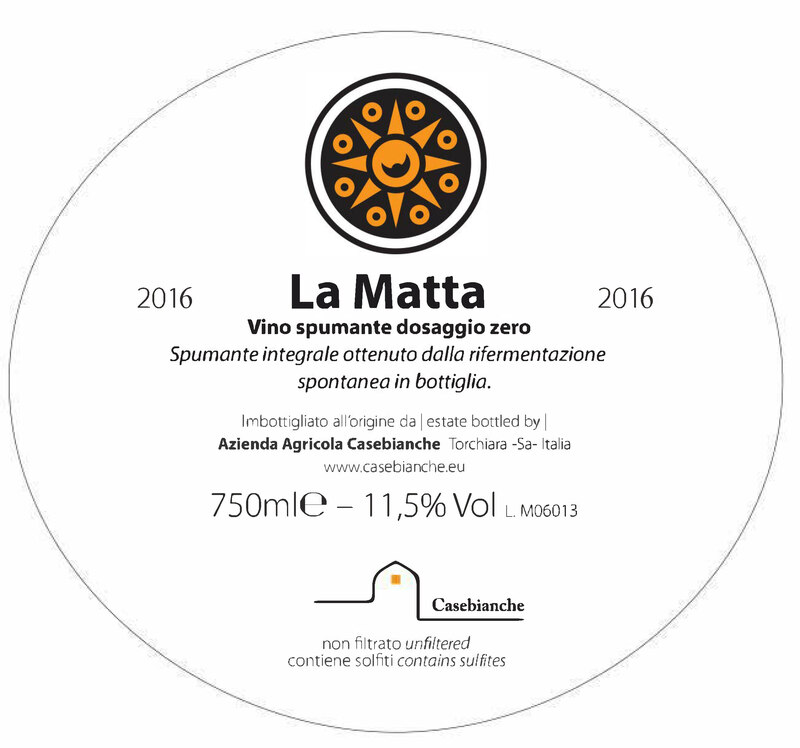 Spumante “La Matta”: 100% Fiano. 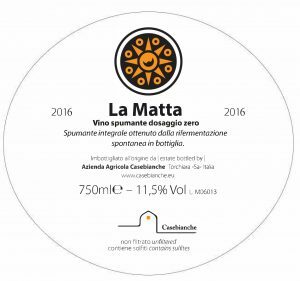 It’s not by chance that “La Matta” means “the crazy one” in Italian. Let’s just say it’s a wine that dances to its own beat: biodynamic, no sulfur added, unfiltered, sparkling, pet nat. There is no DOC in Campania (or Italy) that can contain such a wine. And as it is re-fermented in the bottle and neither disgorged nor filtered; you might sea a few “seahorses” swirling around in the bottle. 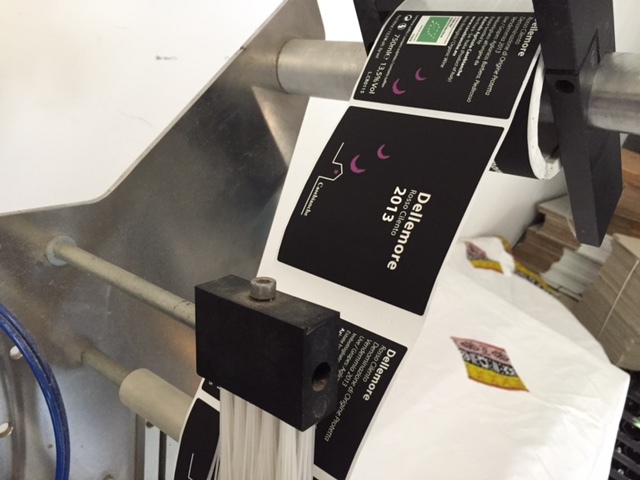 Those are lees that Pasquale and Elisabetta recommend to integrate into the wine by inverting the bottle before opening. So what does it taste like? It’s fresh, floral, citrussy and faintly yeasty. Tiny production! 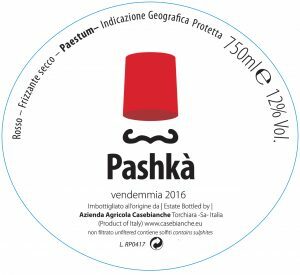 Frizzante Secco “Pashkà”: Pashkà is made from a base wine that blends equal parts Aglianico and Barbera. 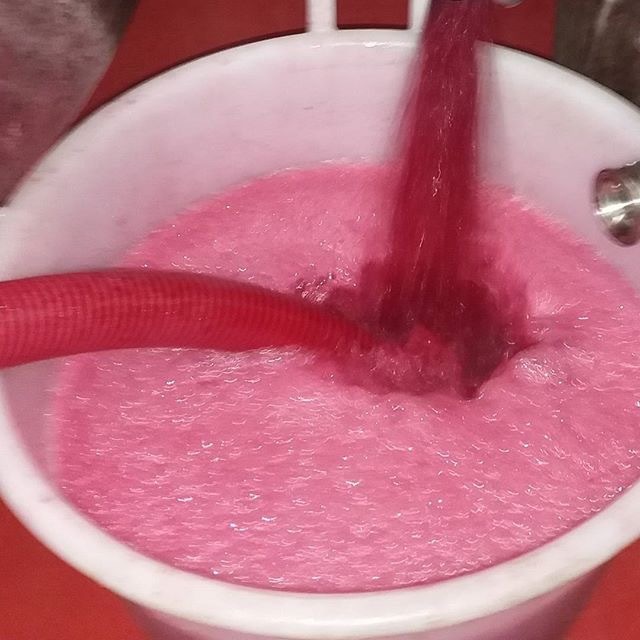 In the spring, it is elaborated by adding unfermented must to the base wine before bottling, thereby setting the stage for the wine to re-ferment in the bottle. Like siblings il Fric and La Matta, the lees that are produced as a result of the re-fermentation purposefully remain in the bottle. 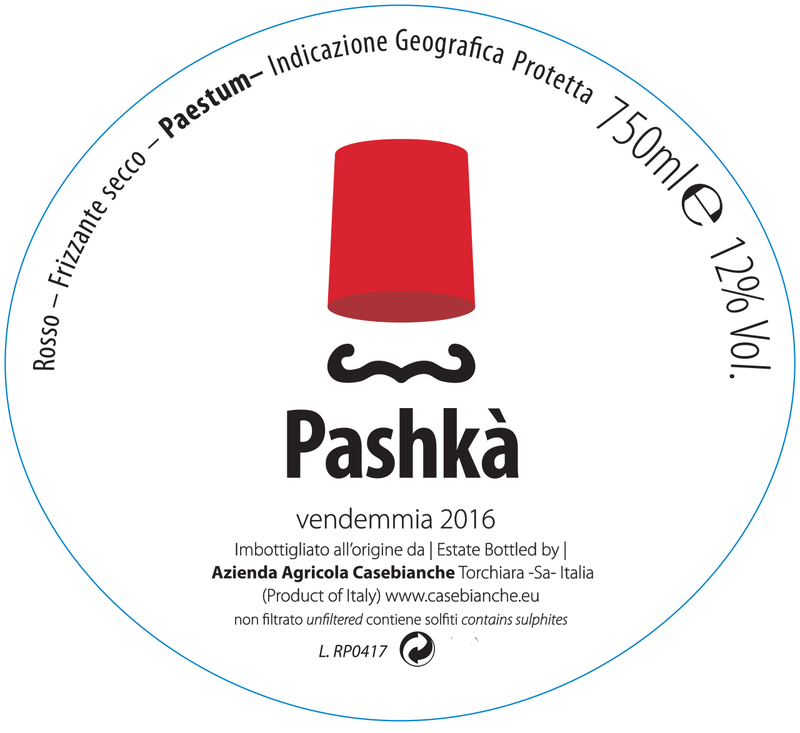 In fact, viticoltori Pasquale (Pashkà in Neapolitan dialect!) and Betti recommend inverting the bottle before opening to reintegrate the lees for the full Pashà experience. Look for a palate of red fruit, spice, and herbal notes with a touch of earth. Serve *slightly* chilled alongside salumi and grilled meats.